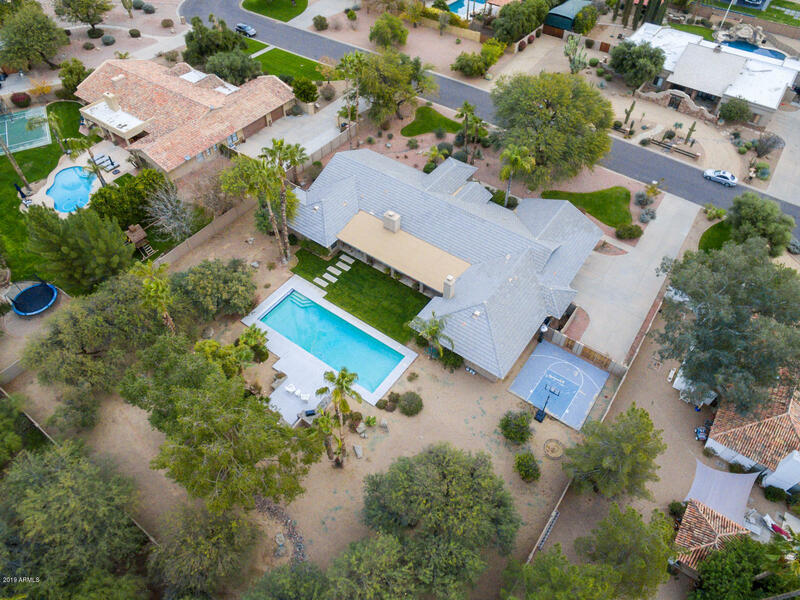 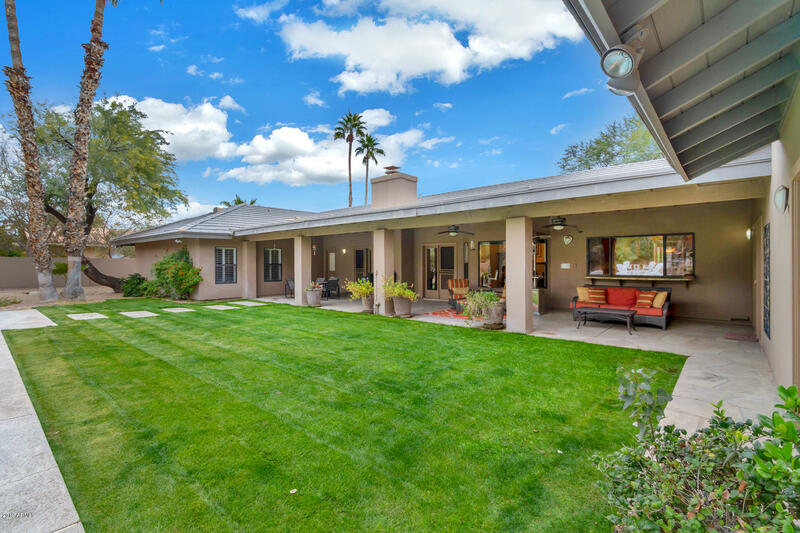 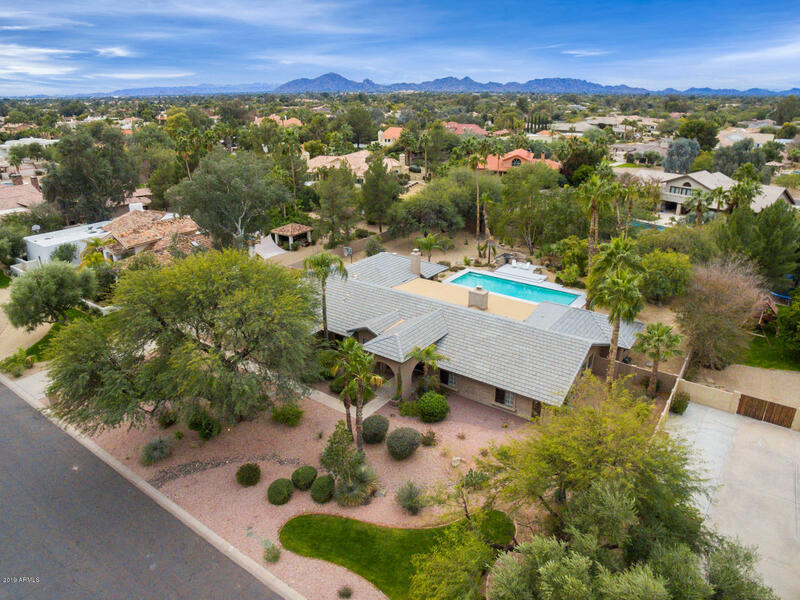 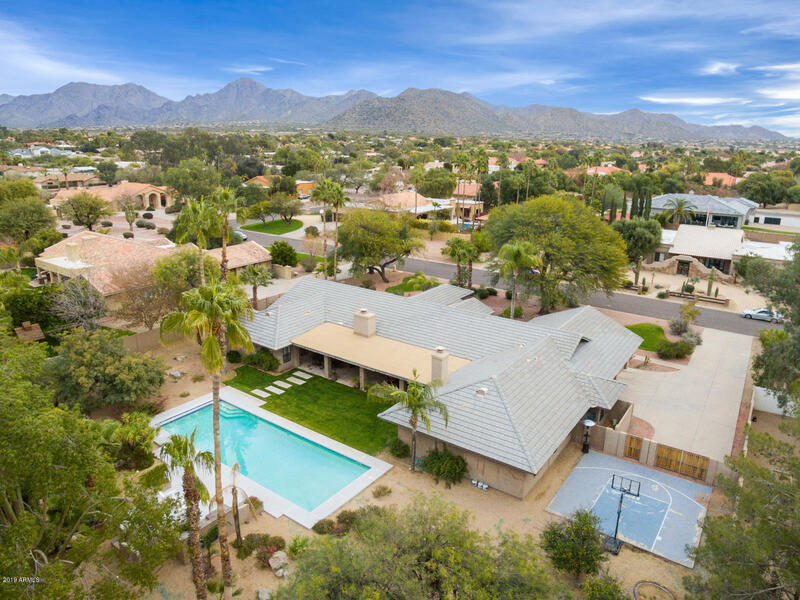 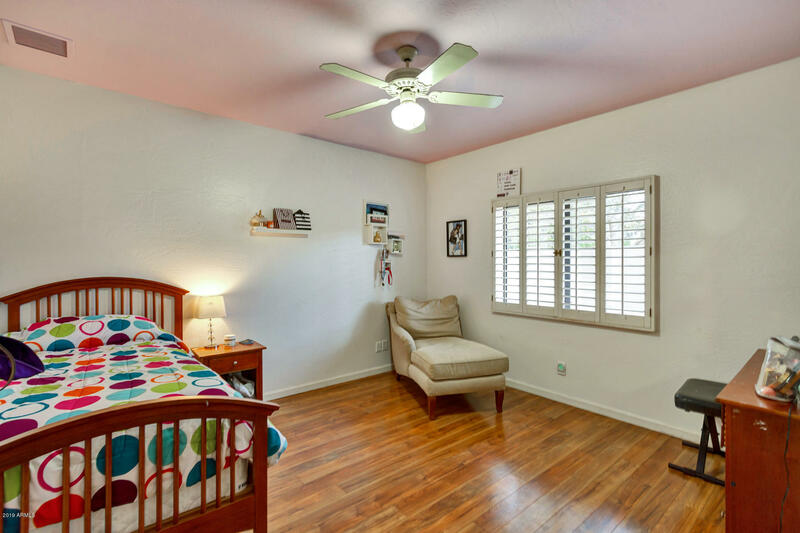 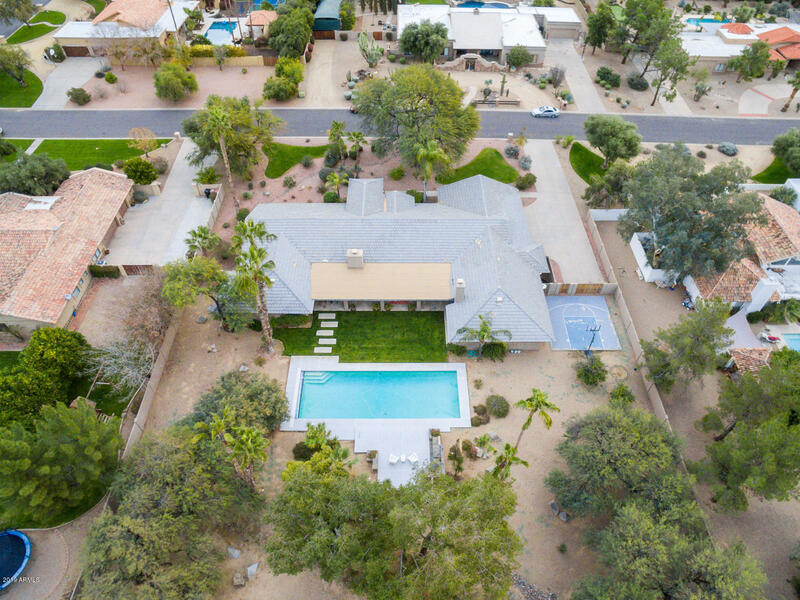 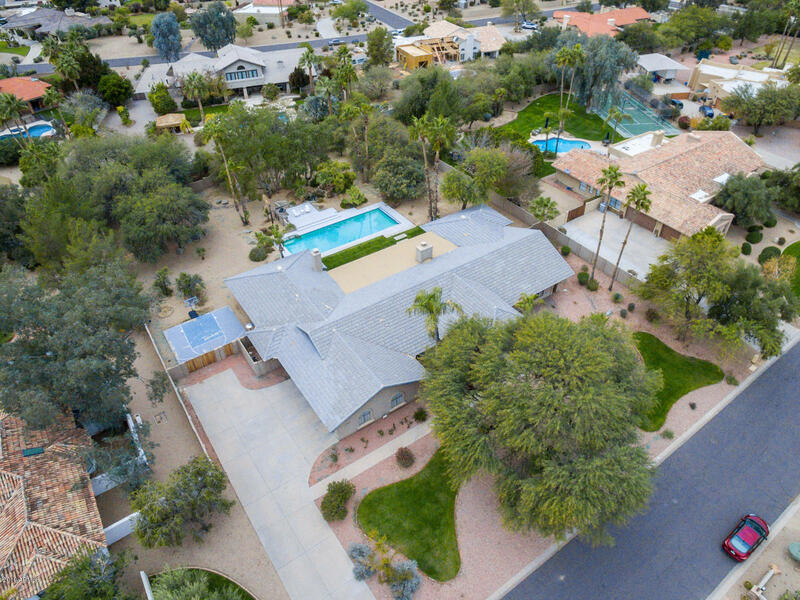 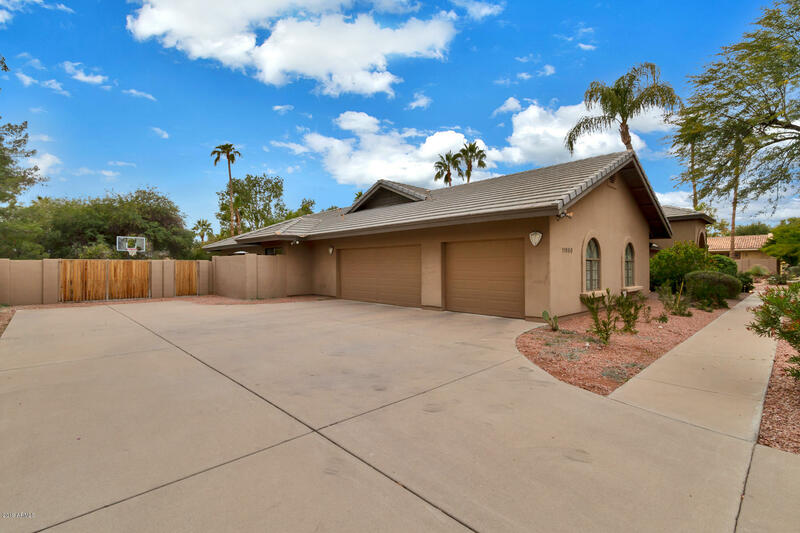 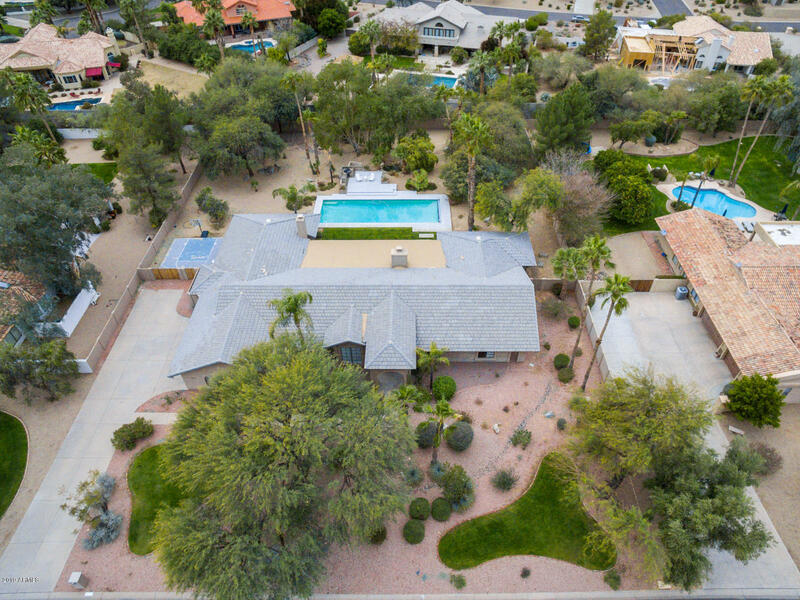 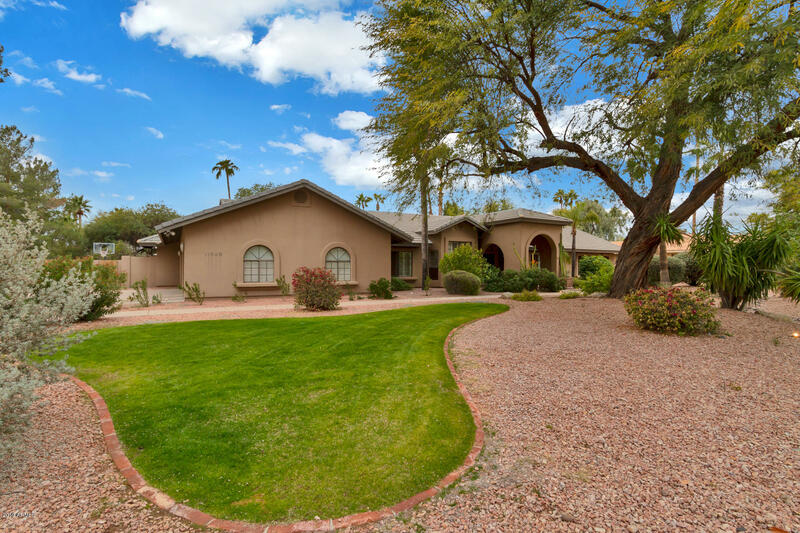 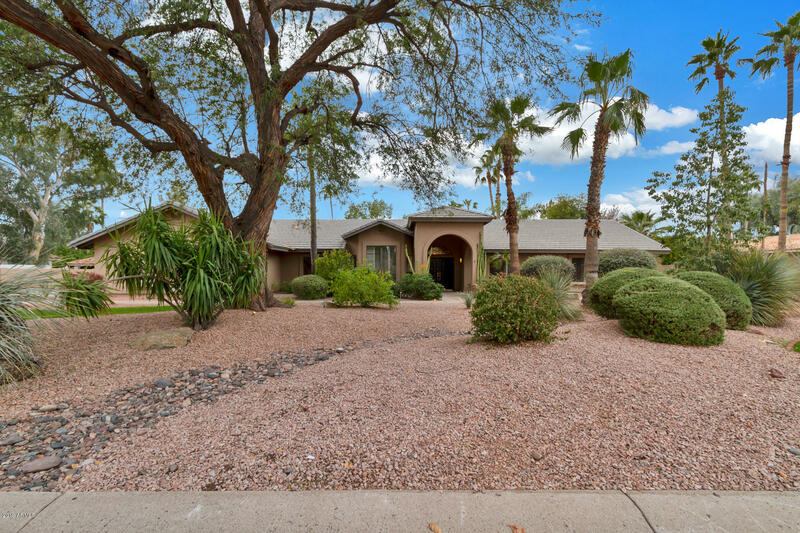 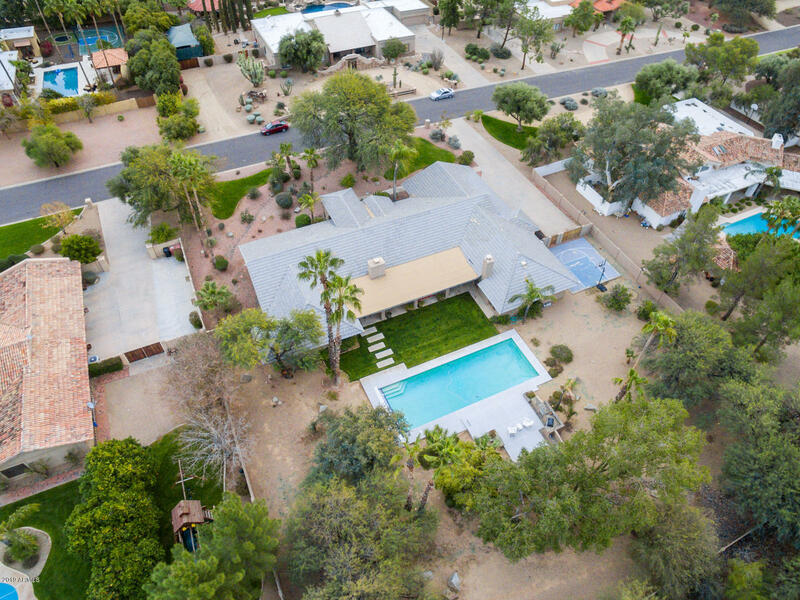 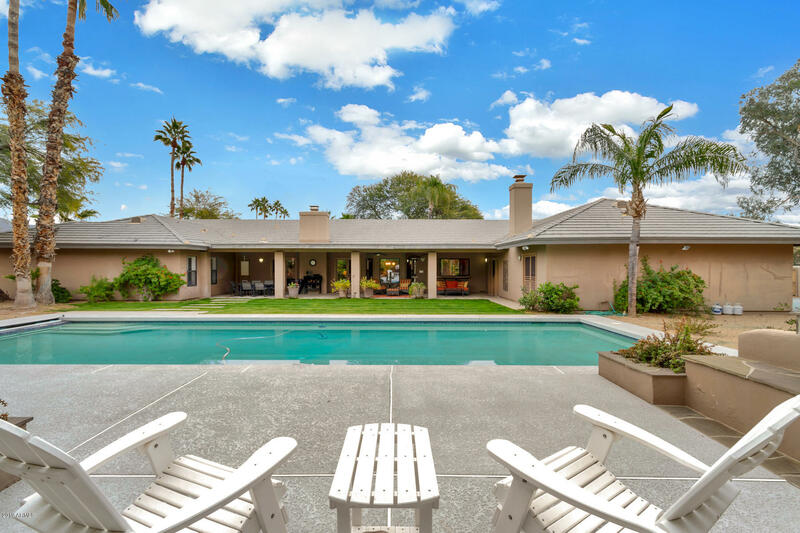 Located in the fabulous Cactus Corridor on over 3/4 of an acre, this lovely home is large enough for a growing family yet cozy and inviting. 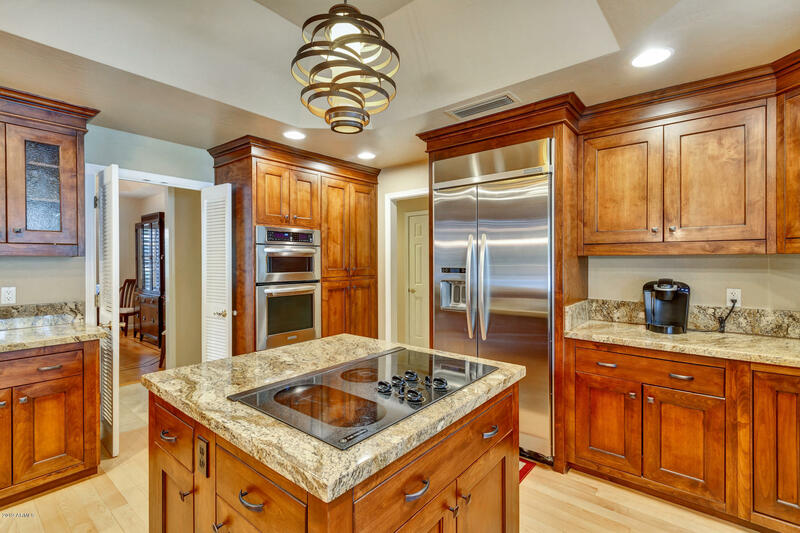 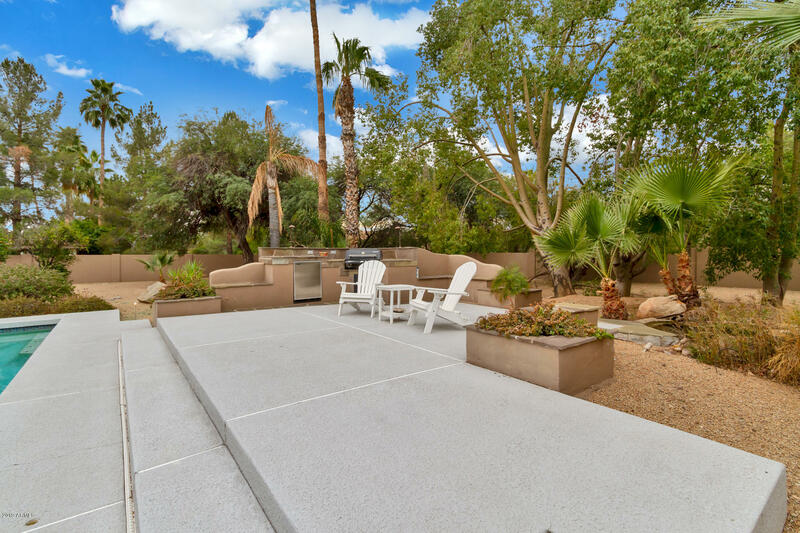 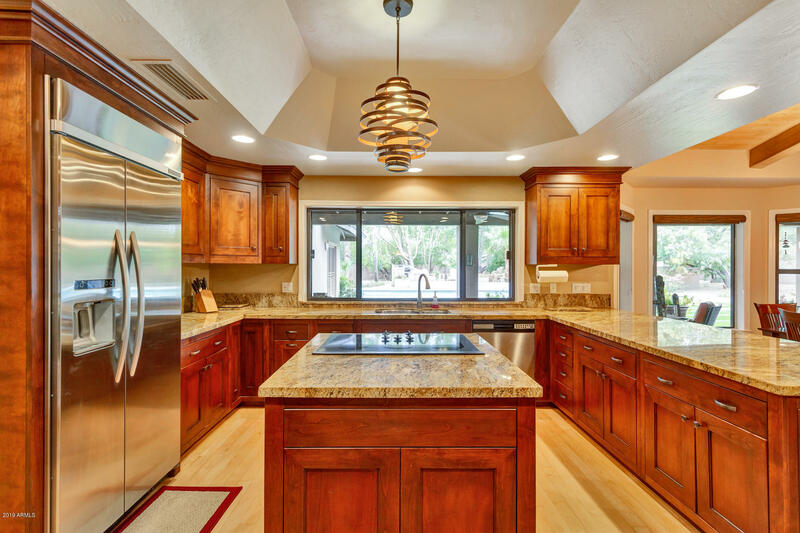 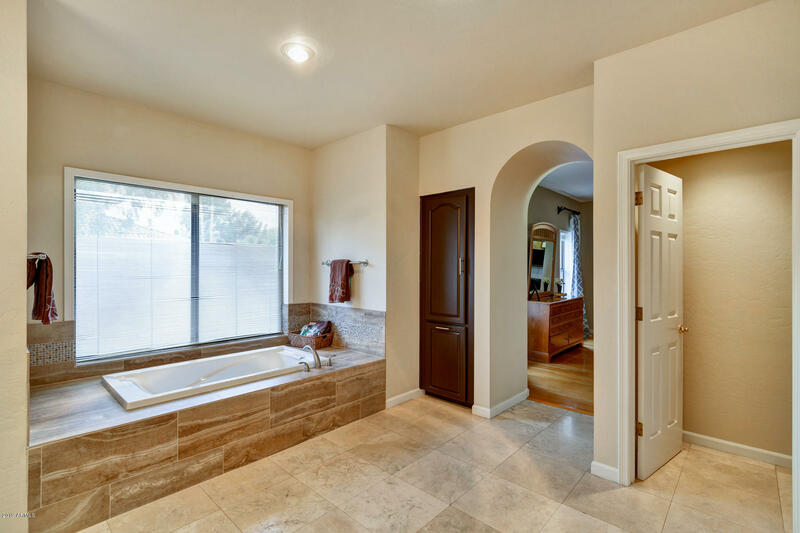 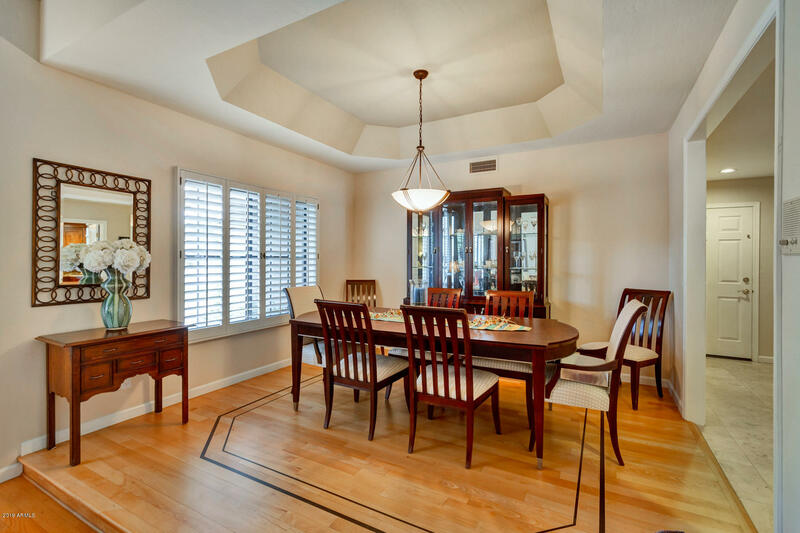 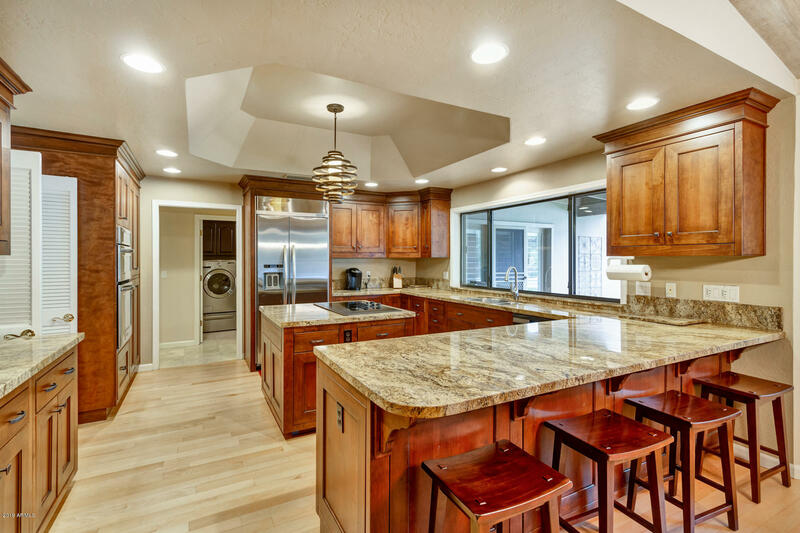 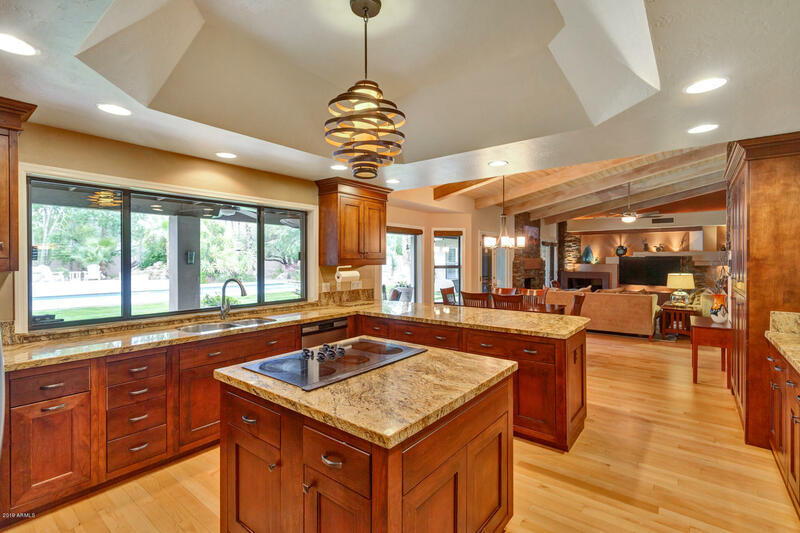 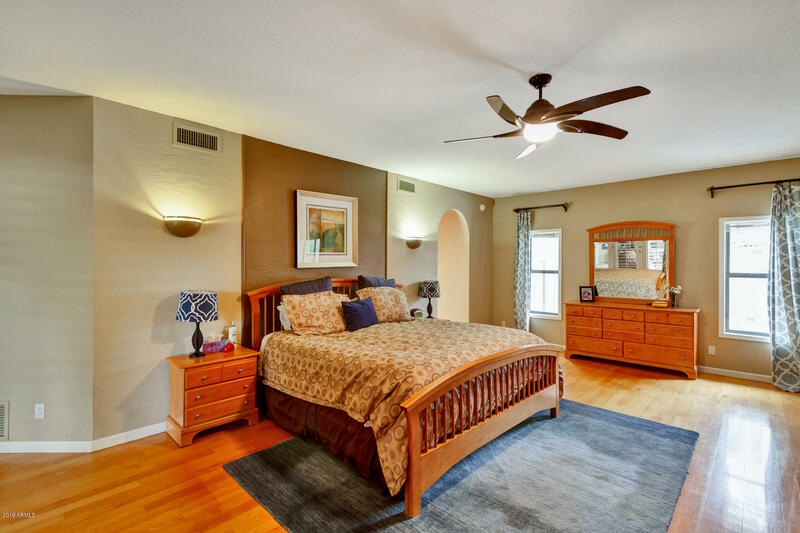 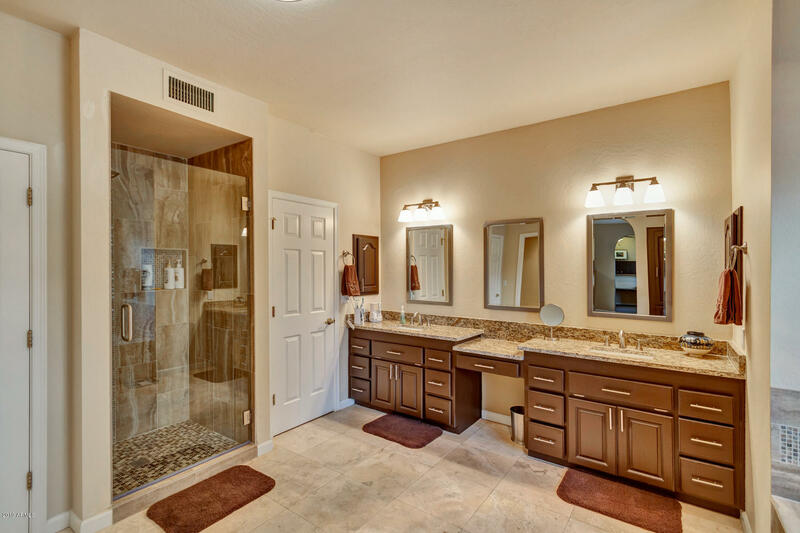 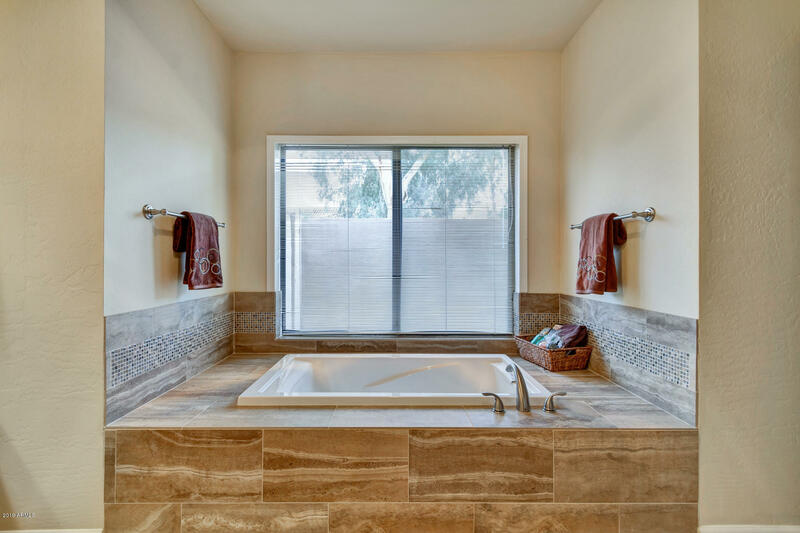 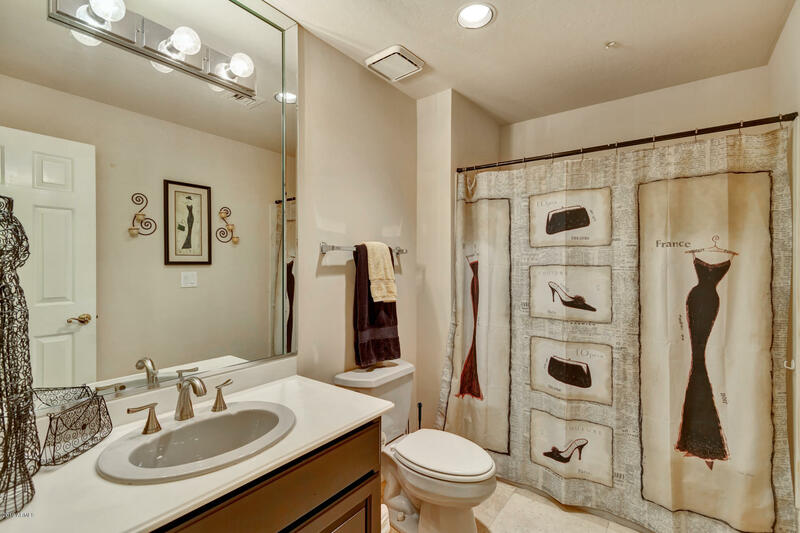 The beautifully remodeled kitchen features granite slab counters, SS appliances, island w/breakfast bar & serving window to a huge covered patio. 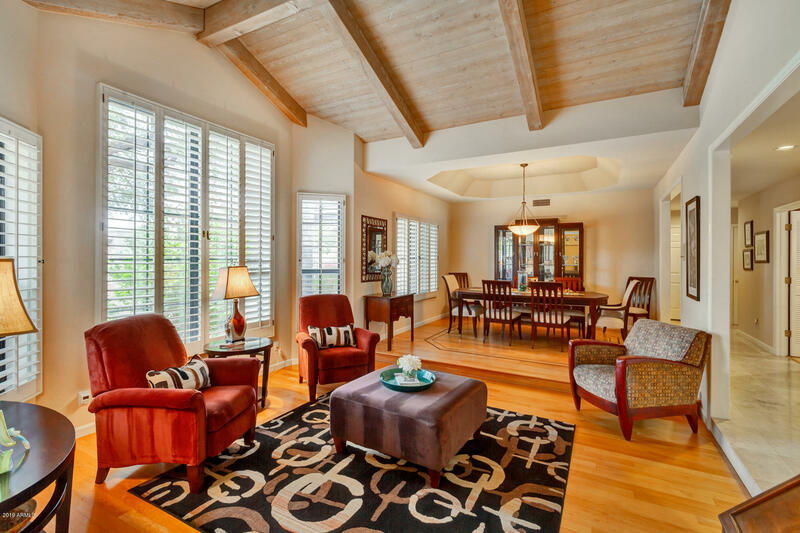 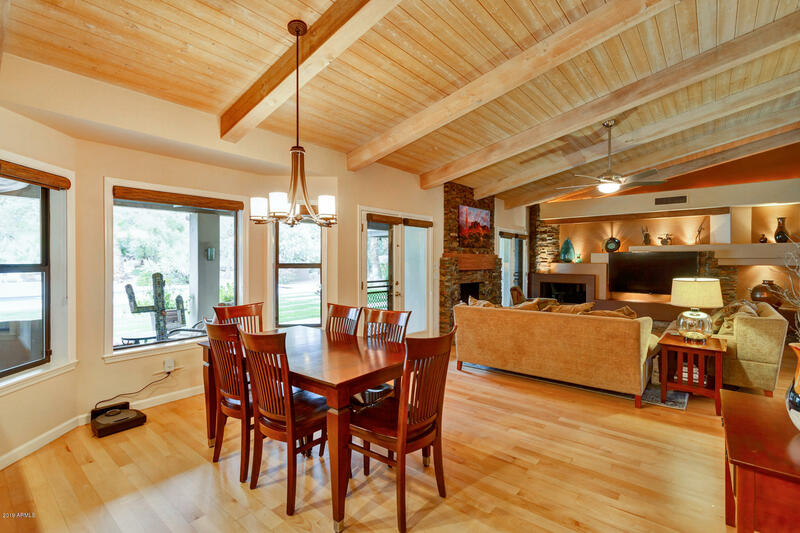 Gorgeous beech hardwood flooring adorns many of the room with very little carpeting anywhere. 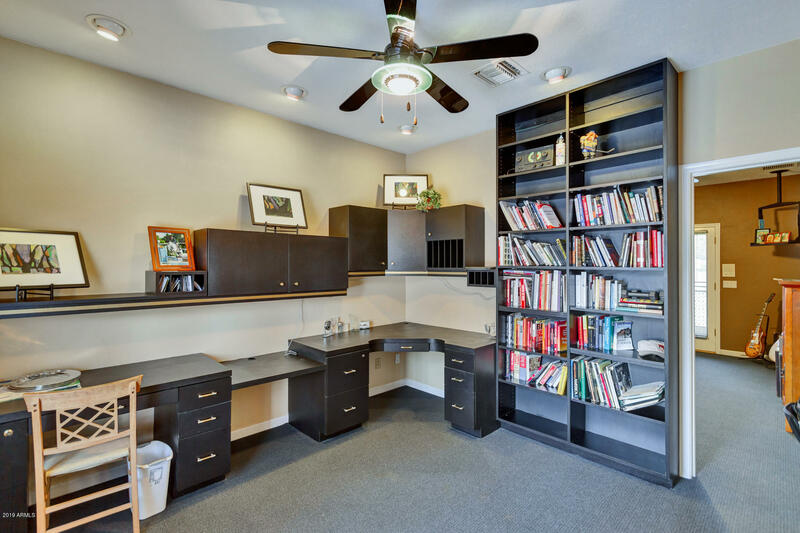 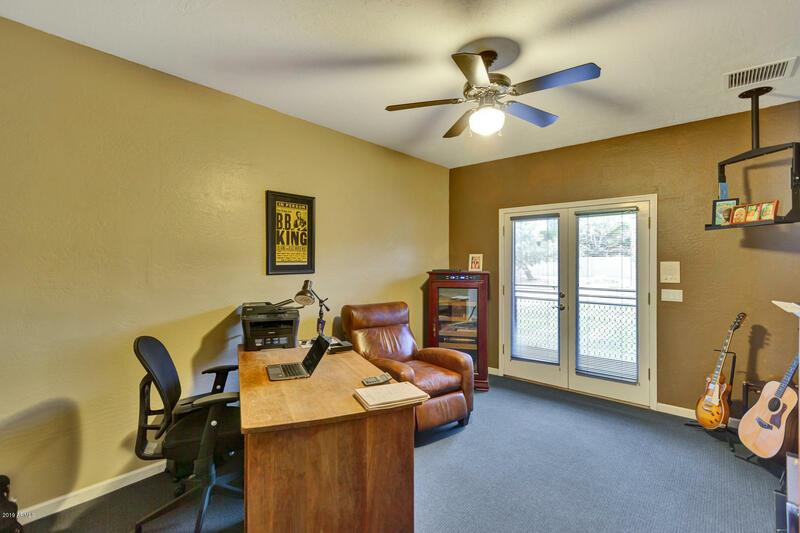 A split floor plan with a teen/bonus room off 2 of the BR's and 2 rooms off the master make for a perfect home office & exercise room. 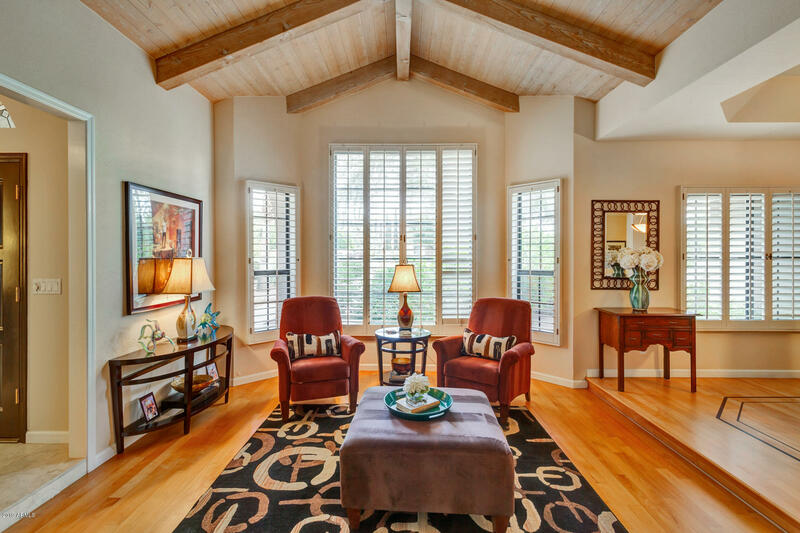 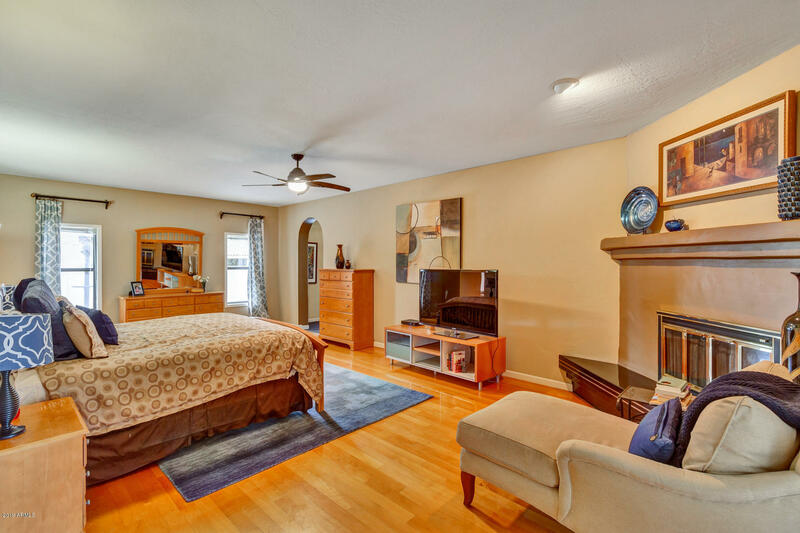 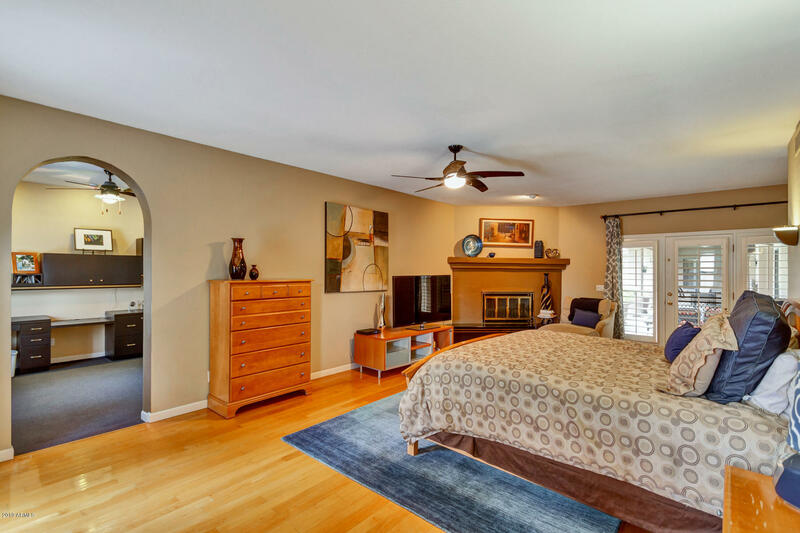 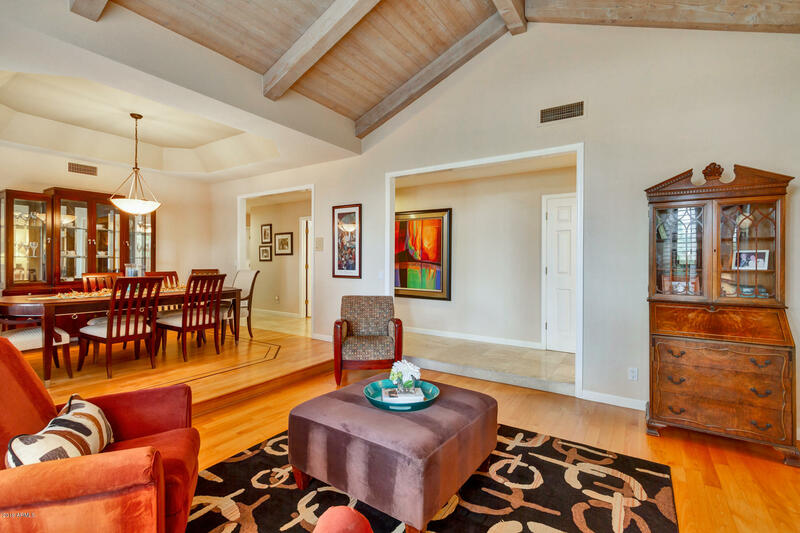 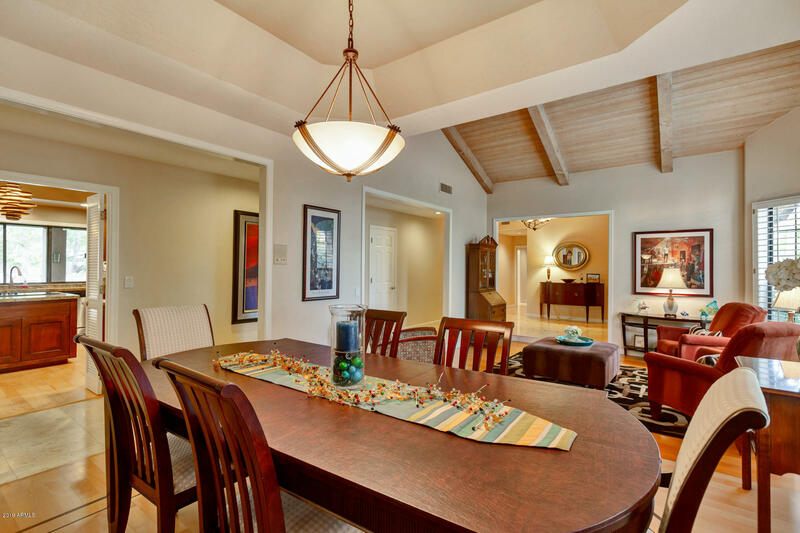 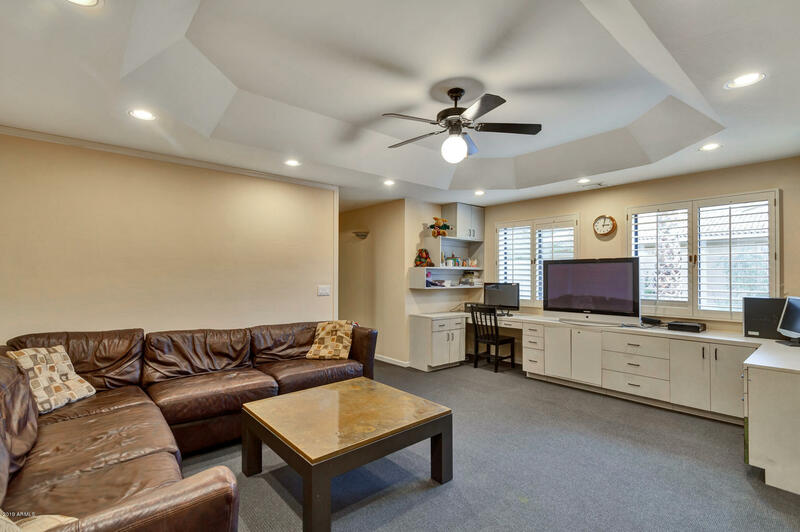 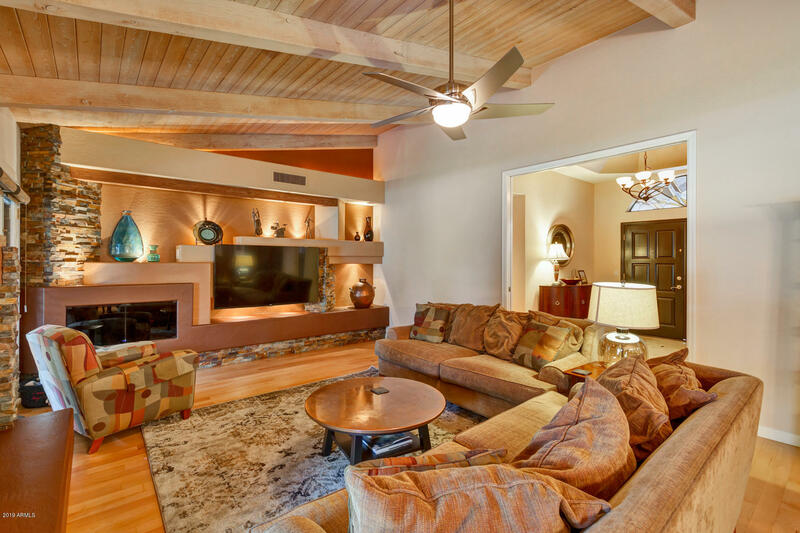 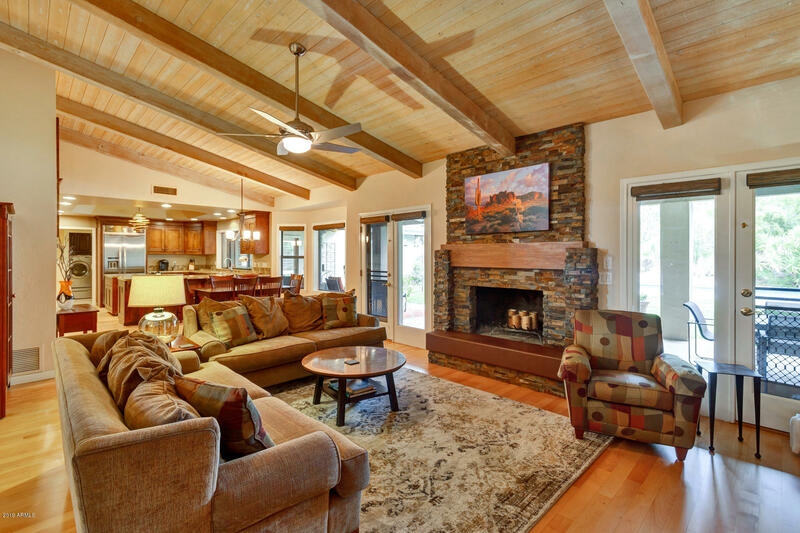 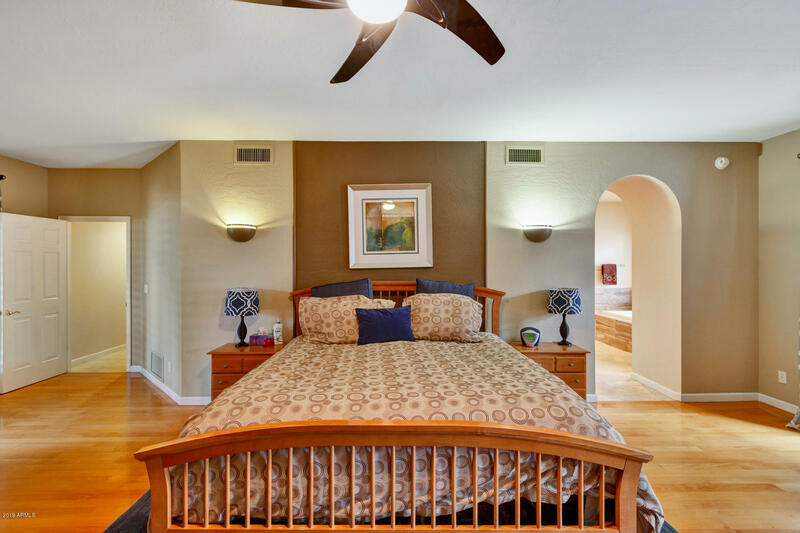 The comfortable family room has gorgeous wood beam vaulted ceilings, a cozy fireplace & a custom built entertainment center. 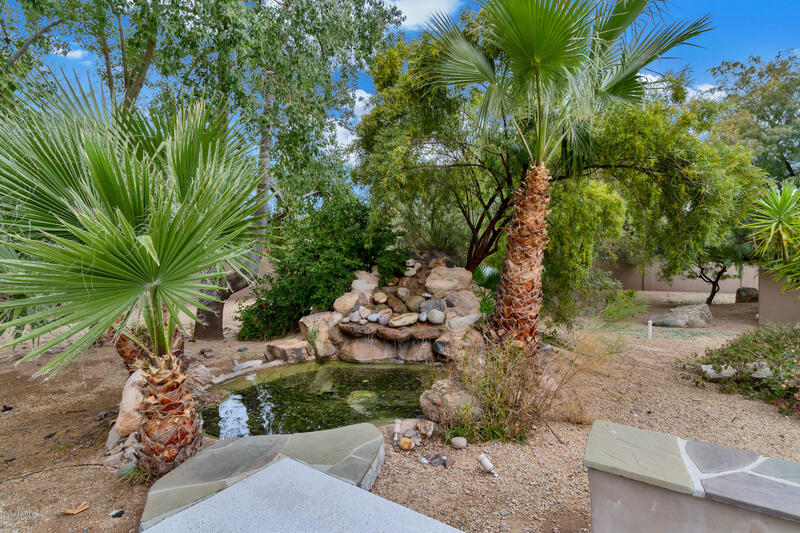 All this and we haven't even mentioned the incredible backyard with lap pool, boulder water fountain/pond, sport court & elevated BBQ area.